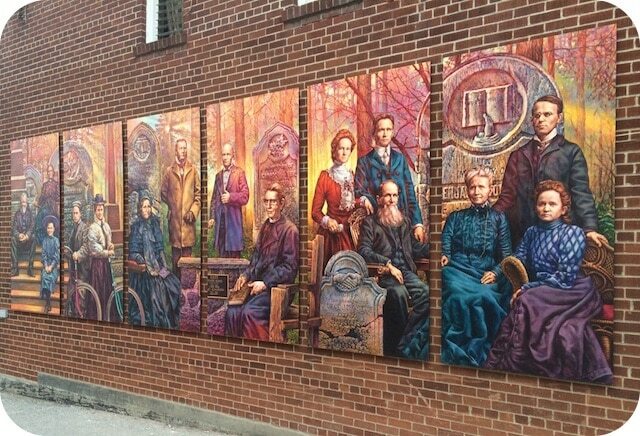 This mural commemorates the original founding families of Islington who now rest in the Islington Burying Ground just east of this site, one of the oldest cemeteries in Toronto, dating from the 1840s. While the subject matter is somber, this mural has been infused with light reminiscent of both dusk and dawn to hint at life’s cycle. Six windows remind us of our human vulnerability to the passage of time.